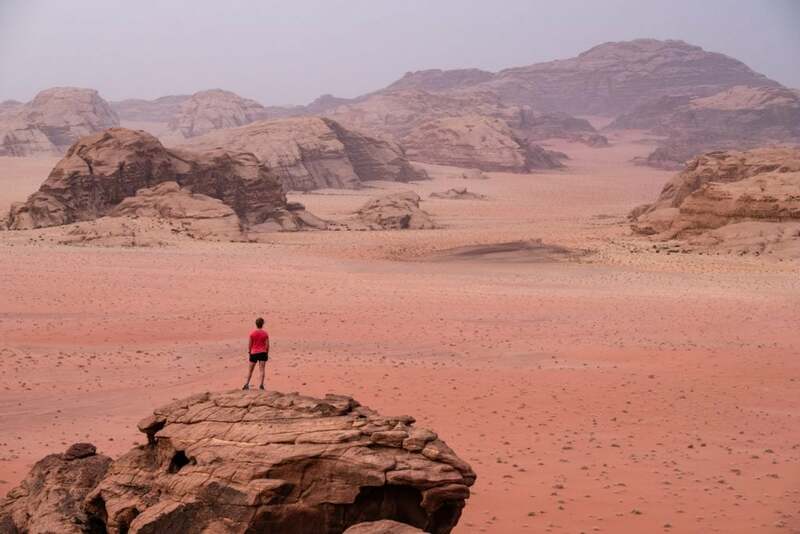 An incredible red desert of rolling red sand and towering rock monoliths, Wadi Rum is a protected desert wilderness located in the south of Jordan. Dramatic sandstone mountains, curving stone arches, rocky caverns and steep chasms, along with it’s red color, have earned Wadi Rum the term “Martian landscape.” The location of the infamous Lawrence of Arabia’s escapades as well as home to Jordan’s rich Bedouin traditions make Wadi Rum a fascinating area in Jordan to visit. Like many desert locations, Wadi Rum has some unique photography challenges. Whether you are a hobbyist photographer looking to bring back some nice photos from your travels or your a seasoned pro looking for tricks to get the best photos out of your time in Wadi Rum, the following tips and tricks will help you make the most of your time in this incredible landscape. One of the secret sauces to most great photography is great light. The time around sunrise and sunset usually offers the best light. In the Wadi Rum desert that window tends get even smaller, with the light getting quite harsh just after sunrise and the light dying pretty quick after sunset. Beautiful light + epic scenery is a great start to a stunning photograph. Even if you’re shooting with only your cell phone, stunning light is a great way to take your photographs to the next level. 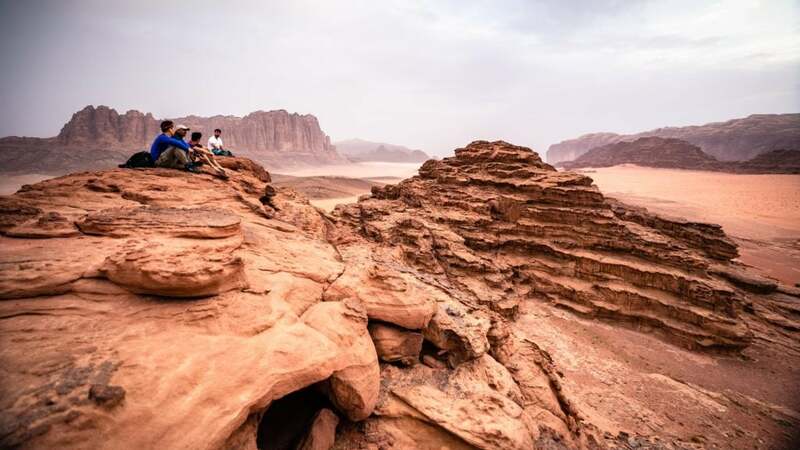 Planning your time in Wadi Rum to be out of camp and high up on the interesting geological features well before actual sunset or sunrise to be ready to photograph as the light gets nice. 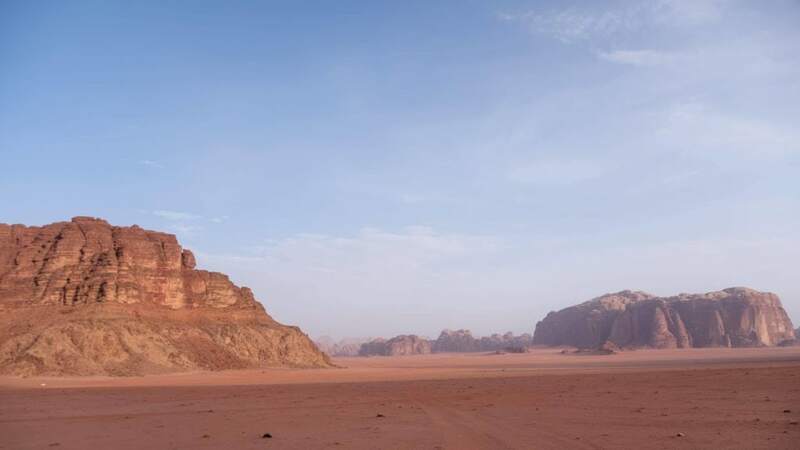 Like any desert climate, Wadi Rum is prone to sandstorms. This can make your photos hazy and cause dull light, especially on the horizons. 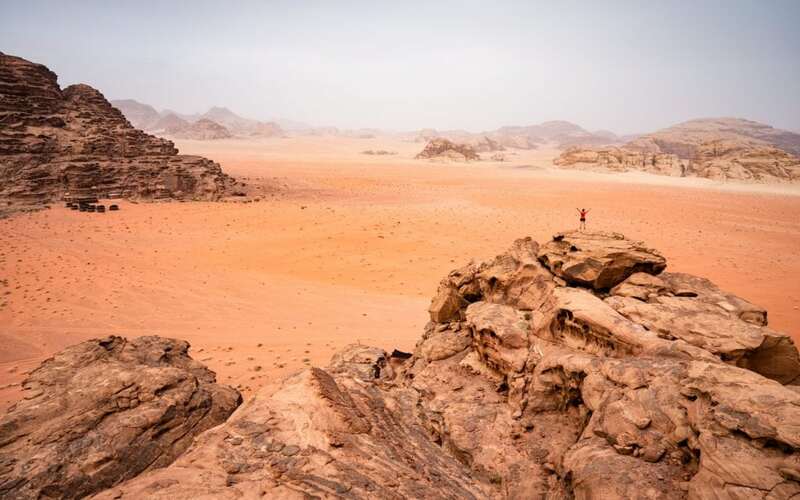 Try to plan at least 2 days in Wadi Rum to give yourself the most opportunity to have clear conditions. During sandstorms embrace the conditions and either photograph the mood of the landscape that the sandstorms create or use a telephone lens to pick out the details in the landscape. Don’t forget to include a person for scale. Gear Note: Be mindful of your gear in these sandy conditions. Don’t change lens outside during sandstorm conditions as sand can get inside the body of your camera. Keep your camera as protected as possible. And try to clean off your camera after being outside in a sandstorm. 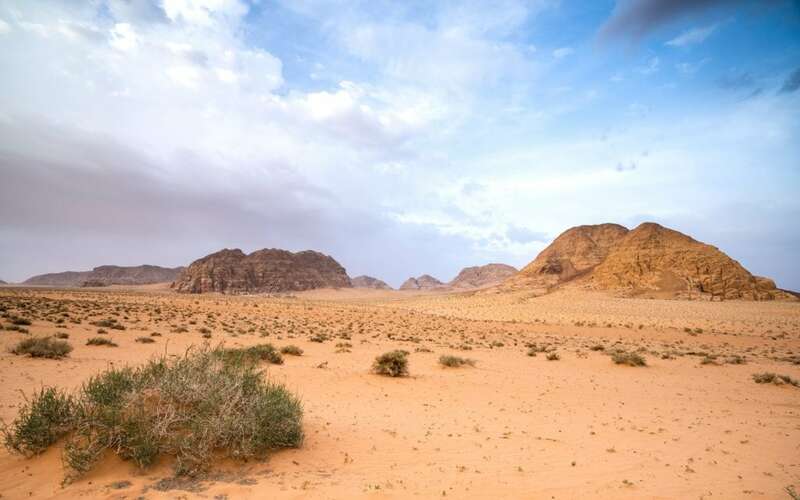 Wadi Rum is a vast landscape. One trick for capturing big landscapes and translating it into your photographs is to either shoot wide or shoot telephoto. Shooting with a wide angle lens gives the sense of vastness. Don’t forgot to have something in your foreground to give your photo depth. A person or camel off in the distance can also help provide scale. Using a telephoto and focusing in on the details highlights the unique features of the landscape. Again place a person or camel in the frame to show how immense of the rock formations are. 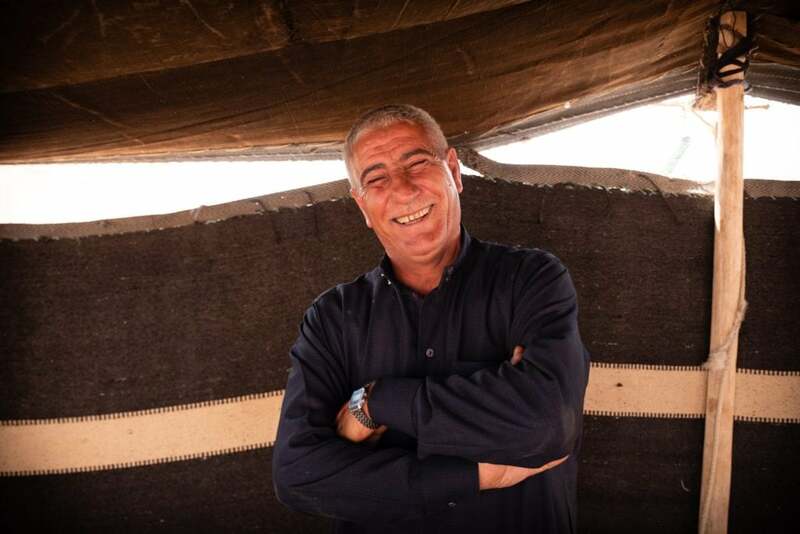 Wadi Rum is more than just an incredible Maritian landscape, the local Bedouin traditions and culture is strong here and well worth experiencing. Be respectful when photographing people (and camels too!). Always ask before taking someone’s photograph and respect if they don’t wish to be photographed. The best photos come when you take the time to get to know someone. Put the camera down. Learn about their life and who they are. And then ask to take a photo. Sharing a laugh with friendly locals. Photo by Genevieve Hathaway. Wadi Rum is a great location to use filers – and this will tremendously improve the images that you make. Polarizer, Neutral Density filters and Graduated ND filters are all very useful. Due to the bright conditions during the day ND filters are very useful to protect highlights and keep good contrast in your photos. Consider a 6 stop ND filer plus a graduated filter for the sky. At sunset and sunrise the exposure difference between the ground and the sky means that graduated ND filters are useful to have good exposure in both the ground and sky. Polarizers can be useful to cut down the sheen on rocks during the day. 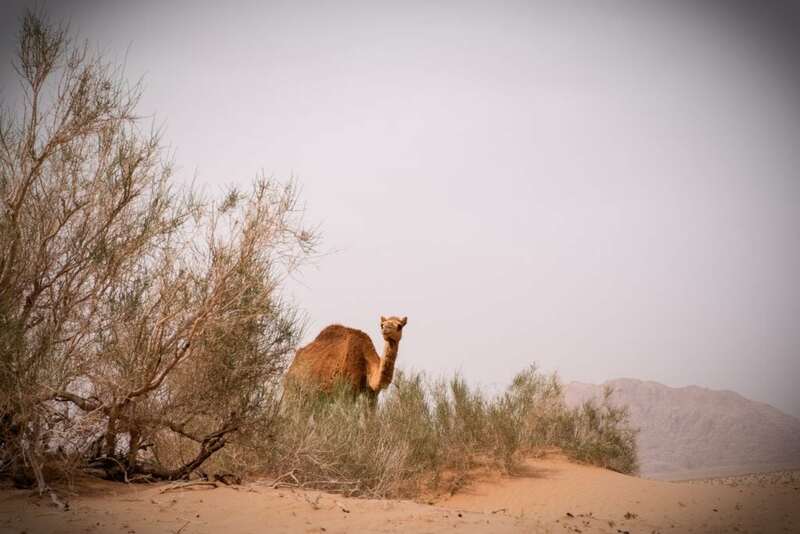 Interested in photographing Wadi Rum, Petra or other areas in Jordan? 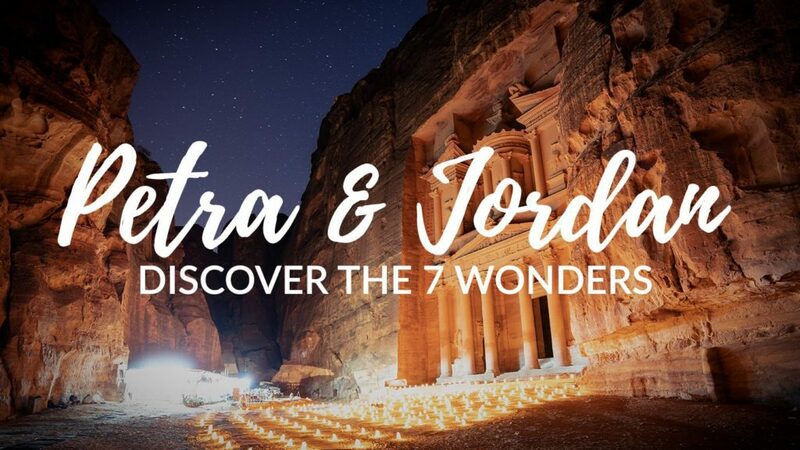 Join one of our upcoming tours to Jordan!